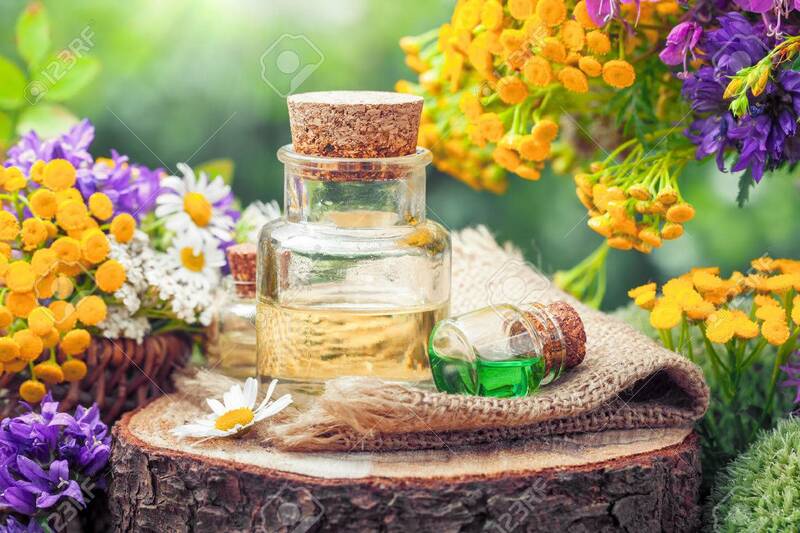 Bottles Of Essential Oil Or Potion, Healing Herbs And Wildflowers... Stock Photo, Picture And Royalty Free Image. Image 43275025. Stock Photo - Bottles of essential oil or potion, healing herbs and wildflowers. Herbal medicine. Bottles of essential oil or potion, healing herbs and wildflowers. Herbal medicine.